Ph.D., Economics, University of California, Santa Barbara, CA, 1990. M.S., Economics, University of California, Santa Barbara, CA, 1987. M.F.A., Fine Arts, University of California, Santa Barbara, CA, 1983. A.B., Art History, University of Georgia, Athens, GA, 1978. Dr. Lee Rivers Mobley is an Associate Professor of Spatial Population Science and Health Economics in the School of Public Health at Georgia State University. Prior to this appointment, she was a Research Professor at Arizona State University in the School of Geographical Sciences and Urban Planning. Prior to that, she was a Senior Research Fellow at RTI International for about 11 years. While at RTI, Dr. Mobley spearheaded the effort to establish a Census Research Data Center (RDC) lab on the RTI main campus. Under the auspices of my approved Census RDC project entitled “Methodologies for Analyzing Risk Assessment”, she has begun various studies of community risk and resilience using restricted microdata. Health studies may also be conducted inside the RDCs, through cooperation between the US Census, CDC, and NCHS. A renewal of her R01 grant with NIH/NCI will allow her team to study cancer incidence and outcomes at small geographic scales across the entire US, under a National Centers for Health Statistics approval for this work, to be conducted inside RDCs. Under the parent grant, the GeoDa Center at ASU established OpenGeoDa spatial analytic software on the Census Linux server for use by all researchers inside RDCs, making spatial analytic capabilities on the restricted microdata available for the first time. Dr. Mobley has more than 25 years of experience in conducting health market and health outcomes studies using spatial analytic methods. Her research includes analyses of disparities among populations and across geography, examining socio-ecological problems where place and space are important; studies in spatial demography; and analysis of health care markets and behaviors of both consumers and providers. Dr. Mobley’s publications have included hospital antitrust studies, studies of insurance market competition, market analysis for several Medicare reform initiatives, spatial analysis explaining cardiac risk factors in low income women, analysis of the spatial diffusion of endoscopy services, spatial analysis of access to and quality of preventive care services used by the elderly, and ecological analysis of the spread of HIV among injection drug users in San Francisco. 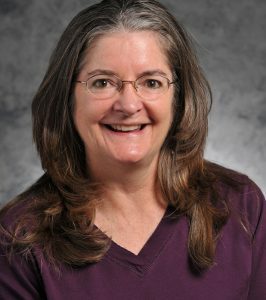 She has earned recognition as an expert in applied spatial analysis, with over 50 peer-reviewed publications, and serves as the Spatial Data Editor for Spatial Demography. Dr. Mobley also serves as expert Grants Reviewer for the National Institutes of Health, sitting in many different study sections on an ad hoc basis due to my unique blend of expertise in spatial science, public health policy, informatics, quantitative analysis, and health economics. Tangka FK, Subramanian S, Mobley LR, Hoover S, Wang J, Hall IJ, Singh SD. “Racial and ethnic disparities among state Medicaid programs for breast cancer screening”. Prev Med. Volume 102,2017, Pages 59-64, ISSN 0091-7435, https://doi.org/10.1016/j.ypmed.2017.06.024. Mobley, L., and Bazzoli, G.,“Modeling ‘Dependence of Relevant Alternatives’ in Consumer Choice: A Synthesis From Disparate Literatures”, Chapter 7, in Frank M. Howell, Jeremy R. Porter and Stephen Mathews (eds. ), Recapturing Space: New Middle-Range Theory In Spatial Demography. Volume 1, Spatial Demography Series. (2016). Dordrecht: Springer, ISBN: 978-3-319-22809-9 (Print) 978-3-319-22810-5.